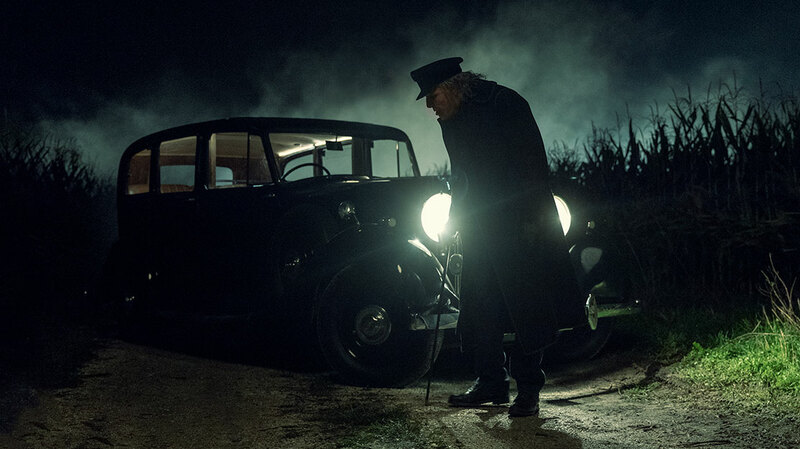 The first thing to say about AMC’s supernatural horror series NOS4A2 is it’s called NOS4A2, which looks like a car number plate but is pronounced ‘Nose-feratu’ or ‘Nosferatu,’ depending who you believe on set. “Joe Hill pronounces it ‘Nosferatu’ so I’m trying to train myself to pronounce it that way,” executive producer and showrunner Jami O’Brien says of the author of the book on which the series is based. 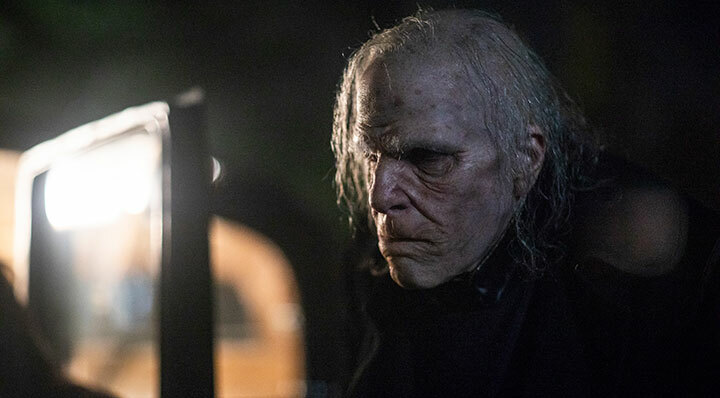 NOS4A2’s plot revolves around Charlie Manx, a seductive immortal who feeds off the souls of children, then deposits what remains of them into Christmasland – an icy, twisted Christmas village of Manx’s imagination where every day is Christmas Day and unhappiness is against the law. Manx finds his whole world threatened when young working-class woman Vic McQueen discovers she has a gift to track him, defeat him and rescue his victims. While that all sounds a little ‘out there,’ it was the everyday background to the McQueen character that drew O’Brien to the project, with the showrunner having previously worked on AMC’s western drama Hell On Wheels. “I had a relationship with the creative execs here at AMC and Emma Miller [VP of scripted development and programming] asked me if I’d ever read this book, which at the time I hadn’t, though I’d been a big fan of Locke & Key, which is also one of Joe’s,” O’Brien says. Prior to Hell On Wheels, O’Brien worked on Fear The Walking Dead, ostensibly a horror drama in the same way NOS4A2 is ostensibly a supernatural thriller. But it’s the human relationships that draw O’Brien to projects, rather than a desire to always be working with zombies, monsters and their ilk. “I never intended to be the genre writer, it just kind of happens,” she says. “I like to work on great character dramas. I worked on Big Love for HBO early in my career, which I loved and had amazing characters. I came to Hell On Wheels because I love westerns and, at the time, you didn’t often get the chance to do a western on TV. But, again, it was also the main character, Cullen Bohannon, who was an interesting guy I wanted to write about. “When I first met showrunner Dave Erickson to talk about Fear The Walking Dead, he said to me it was a family drama set on the border, but there are zombies. The zombies are great, fun and part of the candy of the show, but season three of that show was about the relationship between Madison and Nick. 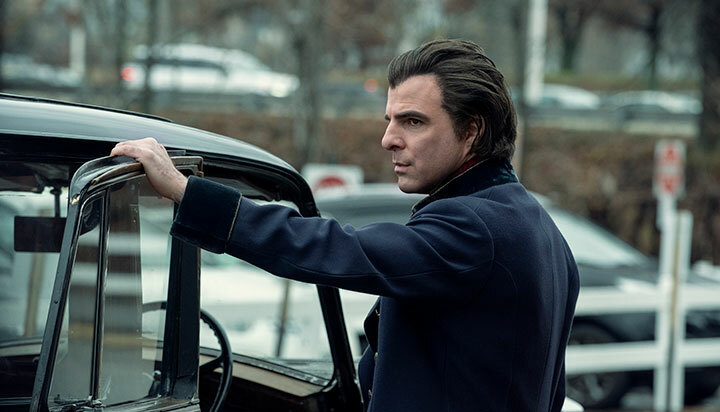 The first challenge with NOS4A2 was to adapt the source material for the screen, a task O’Brien approached with advice from fellow AMC showrunner Marti Noxon (Dietland) in mind. “Marti is a fantastic television writer who had previously adapted a book for AMC and she once said the TV show and the books were sisters, not twins. That’s a perfect way to describe it,” the showrunner says. Changes were made at the initial script stage, making McQueen 18 years old when viewers first meet her rather than eight, as in the book, and reducing the time that elapses between certain characters meeting. “The changes I made throughout were in keeping with the spirit of the book and honouring the characters, but making little adjustments to give us more time with them so we can have 10 episodes of television with them and, hopefully, in success, many more beyond,” O’Brien explains. Those changes were made without a meeting with Hill, who then spoke with O’Brien after AMC had decided to go ahead with the project. As is becoming the norm in the US drama business now, a writers room of six, including O’Brien, worked on scripts, character development and narrative arcs for 16 weeks before the network greenlit the show straight to series, rather than the traditional model of producing a pilot episode. 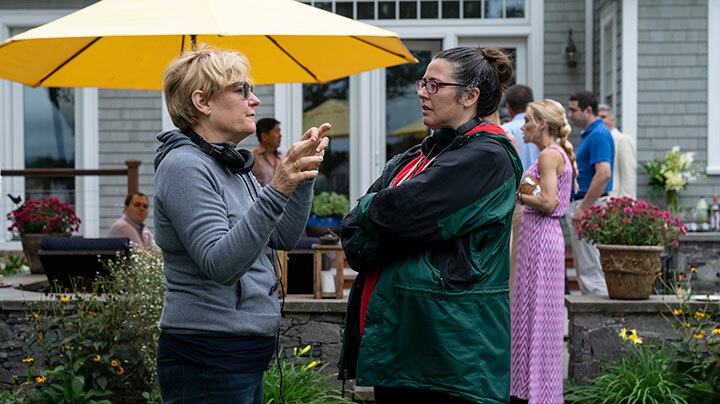 A 10-episode first run was greenlit, produced by AMC Studios and Tornante Television – AMC Studios is also distributing – with filming in Rhode Island and a premiere date set for later in 2019. All well and good, but had the greenlight not come then that 16-week writers room stint would have gone to waste. So does O’Brien prefer this new straight-to-series model, or the older pilot method? When it came to casting, striking the right balance of vulnerability and strength for McQueen was key. 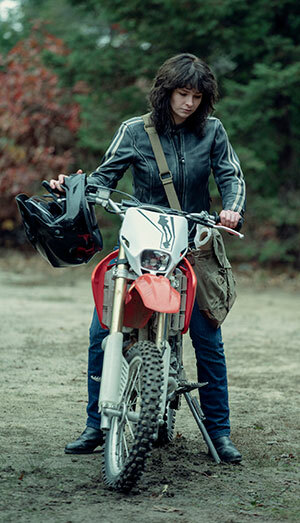 “What was tough about casting Vic is by the time she is confronting Charlie, she is a badass biker chick, tough as nails and able to go toe-to-toe with a 135-year-old supernatural villain; but when we meet her, she’s going through her senior year of high school, she has problems in her home life and she’s really unsure of herself. That’s a tall order,” O’Brien says. The gig went to Ashleigh Cummings (The Goldfinch, Hounds of Love), with whom O’Brien wasn’t familiar until the actor “absolutely nailed” her audition. Getting Zachary Quinto (Star Trek, American Horror Story) to play Charlie was a more straightforward task once it turned out he was available and keen. “Zach was a tip from my casting agent. It never occurred to me he would be available to do a TV drama,” O’Brien says. The cast also includes Olafur Darri Olafsson (Lady Dynamite) as Bing Partridge, Virginia Kull (The Looming Tower) as Linda McQueen, Ebon Moss-Bachrach (The Punisher) as Chris McQueen and Jahkara Smith (aka Sailor J) as Maggie Leigh. When it came to showrunning on set, O’Brien took the communication lessons she’d learned from Erickson on Fear The Walking Dead and showrunner John Wirth on Hell On Wheels before that. “I’ve been lucky to work with a bunch of great showrunners in Fear and Hell On Wheels, and what they tell you becomes true in a deeper and deeper way as time goes by,” O’Brien says. “It’s all about communication. When I say to a room of 20 people, ‘We need a magical bridge that’s encased in static – go make that happen,’ what I’ve come to realise is that 20 different people will have 20 different ideas on what exactly that’s going to look like. It’s my job to say what I think the show is and the tone of the show over and over and over again. Static bridges notwithstanding, the heart of the story remains Vic McQueen, and that’s what O’Brien has been striving for all the way through. “In the book and the show, there is a balance between the supernatural and the real world, but the heart of the story is a coming-of-age tale about this kid from Haverhill who lives in difficult circumstances,” she says. “The show works best when Vic’s real-world story is thematically linked with what’s happening in the supernatural world and vice versa. She’s a bridge between both worlds and, as she gains strength fighting Charlie and the supernatural world, it gives her strength to confront her parents in the real world and vice versa.